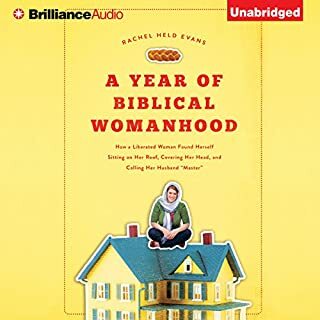 Strong-willed and independent, Rachel Held Evans couldn’t sew a button on a blouse before she embarked on a radical life experiment - a year of biblical womanhood. Intrigued by the traditionalist resurgence that led many of her friends to abandon their careers to assume traditional gender roles in the home, Evans decides to try it for herself, vowing to take all of the Bible’s instructions for women as literally as possible for a year. 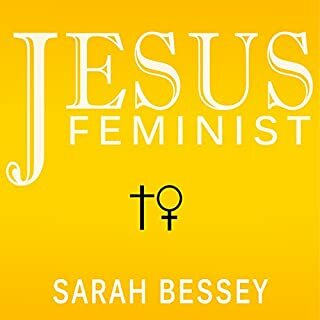 In Jesus Feminist, Bessey shares her spiritual journey, which ranges from growing up in a post–gender-debate home to learning about the worldwide struggles of women and the obstacles even a well-meaning church can pose. 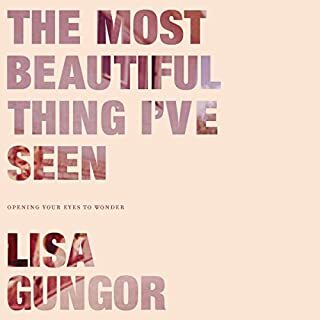 Through disarmingly intimate storytelling, she tells how she grew to understand the story of God and the vastness of his work through women. Love the book; HATE the reader. 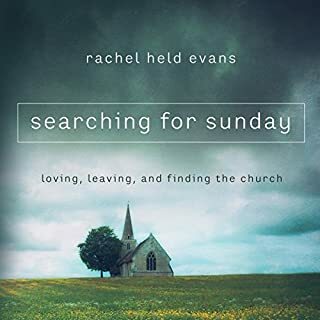 Having grown up in a town famous for its commitment to conservative fundamentalism, Rachel Held Evans nearly loses her faith when rehearsed answers to tough questions aren't enough to satisfy her growing doubts about Christianity. Evolving in Monkey Town is a story of spiritual survival that challenges listeners to reassess their approach to Christianity in the context of a postmodern environment, where knowing all the answers isn't as important as truly asking the questions. I very much value Rachel Held Evans. I do not have all of the same questions and issues that Evans has had. I grew up in a different context, I am male and therefore was not restricted in similar ways as she was. I grew up in an evangelical wing of a mainline denomination, so I did not have the fundamentalist tendencies that her church background did. The problem of evil, which I treat seriously, has never been threatening to my faith in the same way that it was to her faith. But I valued her voice as one that helps me with perspective. Inspired is focused on how to read the bible, or at least how she has learned to read the bible, in a new way. She is primarily approaching the bible as story. Looking at what is there, but in a new way. Evans is primarily known as a memoirist. She is not a scholar, but a writer and writing with a writer’s sense of how stories are supposed to be read and understood. I went through my own period of trying to understand how to read scripture again eight or ten years ago. I had a seminary degree. I had grown up in the church. I had read the bible cover to cover multiple times. At one point I felt like I needed to step away and ‘forget’ the bible a bit to be able to approach it differently. 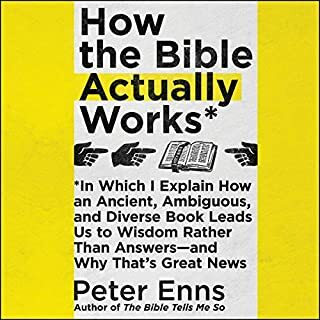 But what really helped me see the bible again in a fresh way was a combination of seeing the bible through other people’s eyes (as Evans is attempting to do here) and liturgical approach through the book of common prayer. Evans as well has found help within the liturgical world and this is largely approached as a liturgical exercise. I also really appreciate Rachel’s skill as a writer. She can write, but she also has a real skill of taking dense theological ideas and making them readable and understandable for people without theology degrees. That is an important and needed pastoral skill. We need to move ideas (from Greg Boyd or NT Wright or Walter Bruggemann or many others) that primarily are writing to the academy or to clergy, to lay people. One of the continued problems of the church is that bad theology can get stuck in the imaginations of lay people and lead to a distortion of the lived life of the believer. So books like Inspired are helpful to both make scripture clear and bring serious academic concepts to lay people. 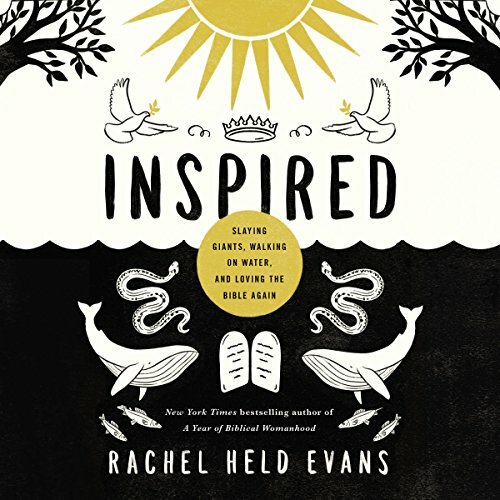 Rachel Held Evans is also passionate about whatever she is doing or talking about or writing. Having read all of her books and being an occasional reader of her blog and twitter account, that passion carries through. I do not alway agree with what she is passionate about and I think she can occasional fall into traps that her common opponents use, but I love her passion. As with any author, there are places I disagree. But for the most part some of my complaints about previous books are much less here. I think that either Evans has a new set of editors or she is doing a better job of listening to them. This is just a cleaner book with less extraneous content than some of her previous projects. And while there are some areas where I think she does misunderstand or misrepresent opinions that differ from hers, there is a lot less of that and I think there is more grace in the presentation of differing ideas. I have never been as fascinated by Midrash as many popular progressive Evangelical authors seem to be. Maybe I just have not studied it enough. But while I do think we can learn something from Jewish commentators as well as the basic concept of the way that the Midrash handles differing ideas, I tend to think it gets overused. The section on the parables, and the incarnation and the importance of the incarnation to our faith, is my favorite part of the book. There are many Evangelicals that are not fans of Rachel Held Evans, but this section should be read by people that are not fans of hers. Her theology may not be the exact theology of others, but the importance of faith shows through. Sections like this are a reminder to me, not just that progresses can be real Christians too, but that conservatives (who I tend to have less patience for) have human reactions to faith as well. I am also glad that Rachel Held Evans reads her own books. Authors should pretty much always read their own books if they want to. Evans is not a professional narrator, but knows her words and communicates them well. I don't have the words to express my deep compassionate love for this author, her work, her journey, her bravery and her honesty. She grabs my heart every time I pick up any of her books.I find myself rooting and sheering her on. I love the care and deep consideration she has for life, the text, and how we live out our lives. KEEP ASKING QUESTIONS. KEEP LOVING. This book is for more than the scope she's written it for - it is for anyone and everyone currious about the Inspired. The Bible, ladies and gentleman, unpacked in a new and lofe breathing way. and Rachel Held Evens is a born reader, her voice gives presence and nuiance to her own words that might otherwise have been lost. Admittedly, I have a personal preference for authors reading their works aloud. I was raised in a conservative Christian tradition but became a member of the Episcopal Church as an adult. Nonetheless, those early teachings persisted in how I viewed the Bible . . . until my EfM experience. I then became somewhat unmoored from the Bible. 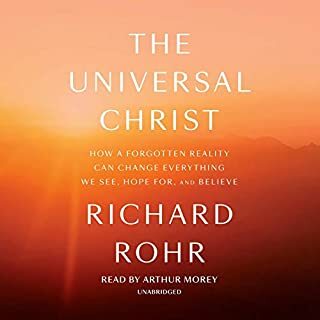 This book has provided a foundational reconnection and for that I’m so thankful. A great reflection on the Bible and the biblical tradition. The literalist will learn the importance of historical critical study and the non believer will come away with a,better appreciation for stories, poems, letters that are still inspirational even for the non religious. As someone who has been lukewarm on faith, and much more ready to criticize the churches failings than point out it successes in recent years, this book feels like a path back to loving scripture. The book is incredibly thoughtful and well researched, and you can feel the humanity of the author struggling with the text. I will definitely be reading this again and recommending it to everyone who will listen! Really enjoyed her first couple books, but felt the author could have dived deeper into her philosophies and analysis of scripture. She certainly could have, there were many opportunities to do so. I was a bit disappointed in this one overall, and that's too bad. This book was like a very tasty blackberry cobbler. It’s tastes very good, but you have be mindful of of the pits/seeds. I loved so many of her insights, but she definitely has her soapboxes she likes to get on occasionally. Just like those pits/seeds won’t keep me from eating and enjoying that cobbler, her soapboxes won’t prevent me from reading this again in the future. For those that are on the same page with her soapboxes, they will love this book entirely. this book has given me back a love for the bible that I feared may have left me for good! Relatable, honest, eye-opening, and funny too! Loved this book so much! Rachel's storytelling, articulation and comedic timing make this one hard to put down/pause. I highly recommend it! Thank you for your insight, Ms Rachel. I can't tell you how much I needed it. Excellent book. I shall listen to this again, but first will read the Kindle version. Listening on the move does not always allow time for consideration and this book deserves such consideration. It is certainly thought provoking and for me, inspiring. Rachel is honest, and whilst not ducking the questions, is insightful and faithful. Brilliant. As inspired as the title suggests. Fantastic Biblical interpretation, extrapolation and elaboration. I highly recommend. What an extraordinary book! This was my first book of Evans’ I’ve read and I’m certainly going to read more. This was dynamic, well-researched, and exactly what I needed to read right now.